With over 50GB of archives. Aminet is one of the biggest ones out there, with some of the files dating back to the late 1980’s even. And so, Amitopia managed to find SunMaze which is a game made by Werner. A 3D FPS game indeed! Maybe one of the very first ever 3D FPS games!? 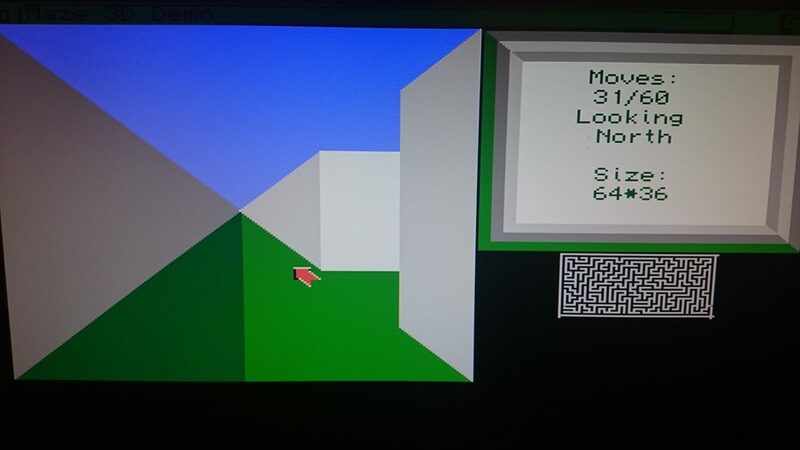 This is a 3D Maze FPS game where you can walk around in the different kind of mazes with the numeric keys on your Amiga keyboard. 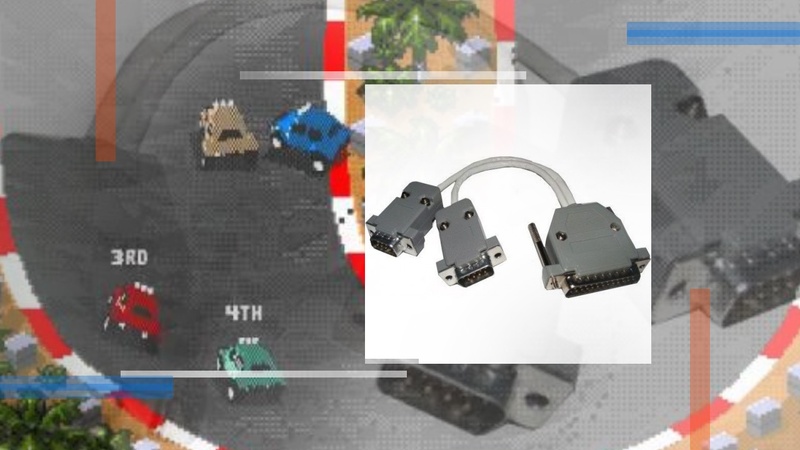 You walk forward with the 8 key and turn either left or right with 4 or 6. I never thought that I would find such game on Aminet from 19th of October 1989! 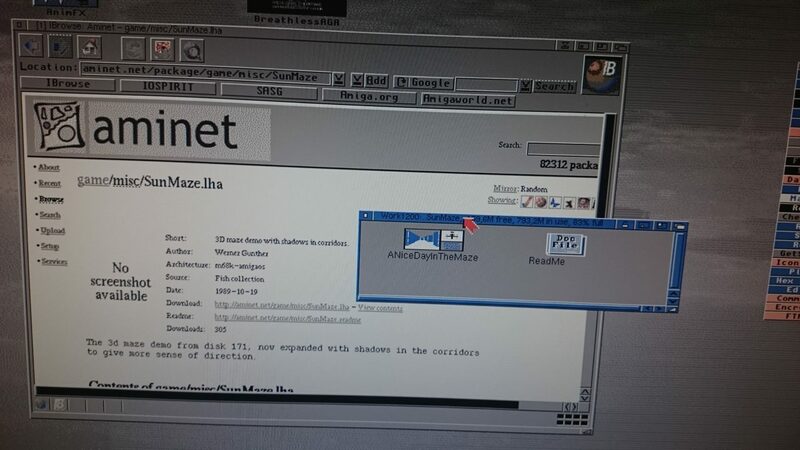 I was really happy to find SunMaze on Aminet. But I got even happier when I noticed that this game from 1989 worked without any issues on my AmigaOS 3.1 Amiga 1200 with 68060 and Indivision AGA mk2. I didn’t expect it to run at all. But it did. Pretty awesome. SunMaze came out 2 years before the humongous hit Wolfenstein 3D got released in May 1992. But SunMaze is a game that got 3D Look and Walk as in Wolfenstein 3D. The game itself is not impressive now at all. But the fact that this 3D maze game got uploaded to Aminet in 1989, makes it a news item worthy in 2018 I think. Werner Gunther, which is the maker of SunMaze might not know it. But SunMaze is for sure one of the very first 3D Look and Walk games. It can be even said to be one of the first First Person Perspective (FPS) game to be released for the public ever. Once the game is loaded, then you can choose to get the map in front by choosing that in the AmigaOS menu. Because, once you start to move around in the 3D maze then the map is gone. There is also several 3D mazes to try. 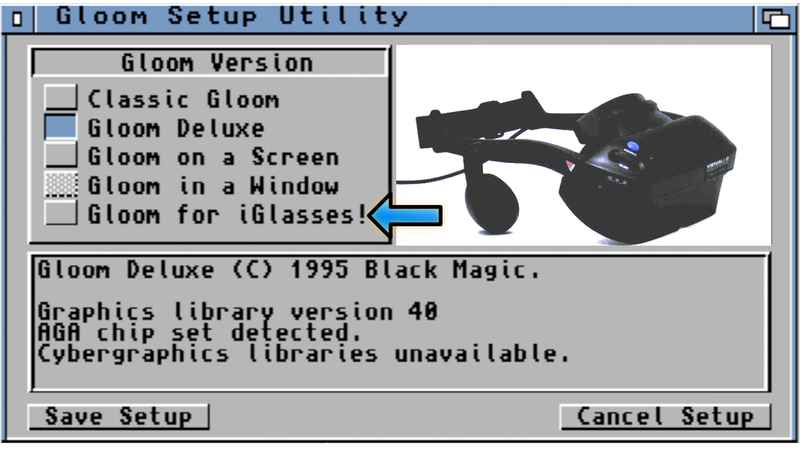 You choose them from the menu and this works nicely on AmigaOS 3.1, where I tested and tried SunMaze. It’s really neat to see Fish collection on Aminet. This one is from disk 171 and I am sure there are lot’s of more surprises once these Fish collections gets explored fully.